Quit Sugar featuring the 8 Week Challenge helps you set, track and measure the success of your sugar quit and reduction goals. Quit Sugar is loaded with sugar info, useful ideas and help with the psychology of kicking the addiction. Quit Sugar can guide you to set, measure and achieve your own goals or the goals you’ve been set by a third party sugar reduction plan. The app does not track your sugar consumption content, it tracks your success in fulfilling your quit or reduction goals. Select the various quit categories you wish to quit from the detailed Quit Sugar list, if a category important to you is not there you have the option to add your own, these categories can be added to or removed at any time. 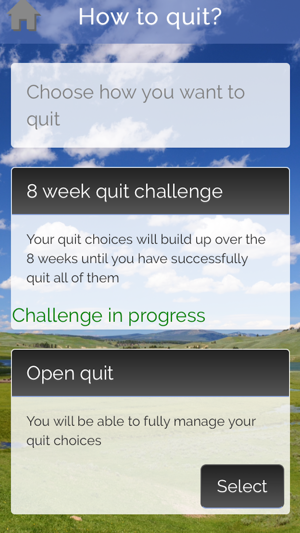 This is a really popular feature of the App, select the 8 week challenge and your quit goals will be arranged for you automatically according to our algorithm across the 8 weeks. Should you wish to change the order of your goals you can do this simply and easily. 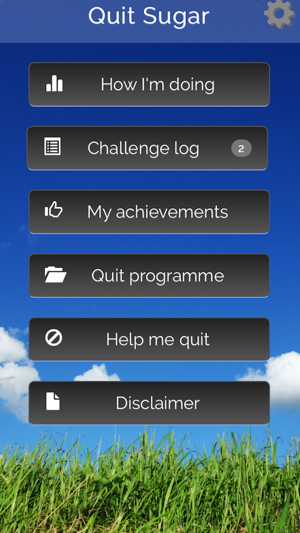 The 8 Week Challenge is a useful tool which can be used with 3rd party quit plans. Alternatively you can use 'open quit' to quit at your own pace. 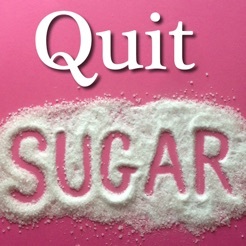 Quit Sugar is designed to be as simple to use as possible. The various food groups that contain high levels of natural and added sugars have been arranged to help you easily select your weekly quit and reduction goals. Every day you will be reminded to record your progress, this is super quick and easy. Your Quit Sugar history is visually displayed on graph that allows you to look at each day and see what you were quitting and how you successful you were. Quit sugar uses a traffic light system of green for goal achieved, amber for improved and red for Unsuccessful. Over time the How I'm Doing graph visually demonstrates your progress and allows you to drill down into each day to see what you were quitting, how you felt, your weight and how successful you were. This makes it really quick and easy to track your success and see how you are doing.The achievements page is a great motivator as at a glance you see how many days and weeks you have successfully achieved your goals. Everyday you track your quit success you are able to also track your mood using the traffic light system green for good, amber for average and red for bad. This is really helpful to look back on as you reduce your sugar dependency, you are likely to see that your mood ’how you feel’ will improve and stabilise. The app allows you to track your weight so you can visually see how your body responds to your successful achievement of your goals. 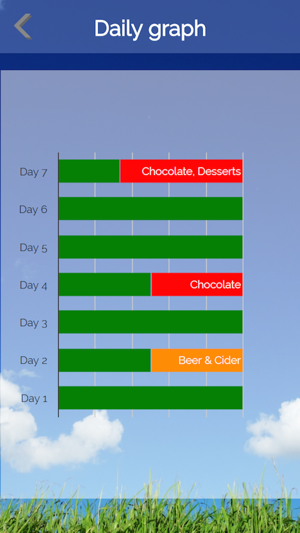 Quit Sugar is designed primarily as a tracker however we have added helpful sugar content information which has been complied to illustrate how much sugar is found in everyday foods, motivate you to apply yourself and successfully achieve your goals moving away from a sugar rich diet to a more healthy lifestyle. This list is by no means exhaustive and is provided as a guide. We have compiled a list of alternative snacks and drinks under various categories like savoury and sweet. Again this list is by no means exhaustive and is designed to prompt fresh ways of thinking about snacks. The Why Quit section of the app provides psychological understanding and straightforward guidance on how to mentally approach your sugar quit and reduction goals. 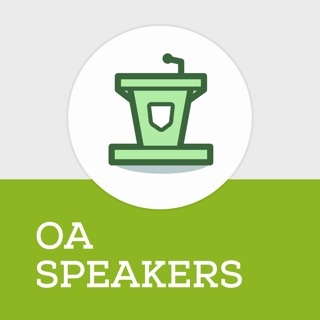 Weekly tips and other really useful stuff can be found here. Quit Sugar could really help and equip you to quit sugar and embrace a healthier lifestyle. 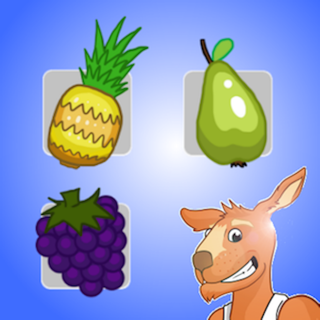 This app has really helped me to reduce my sugar intake. 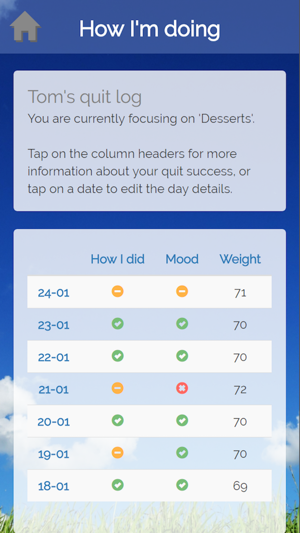 This app helped me quit sugar, It feels really difficult to not reach for the sugary snack mid afternoon but now using the tools and motivation of the resources in the app I am able to set goals and keep them!